With mounting hole options and multiple actuator lengths, the MS2202 Series panel mount slide switch is miniature in size, DPDT and offers nylon housing. 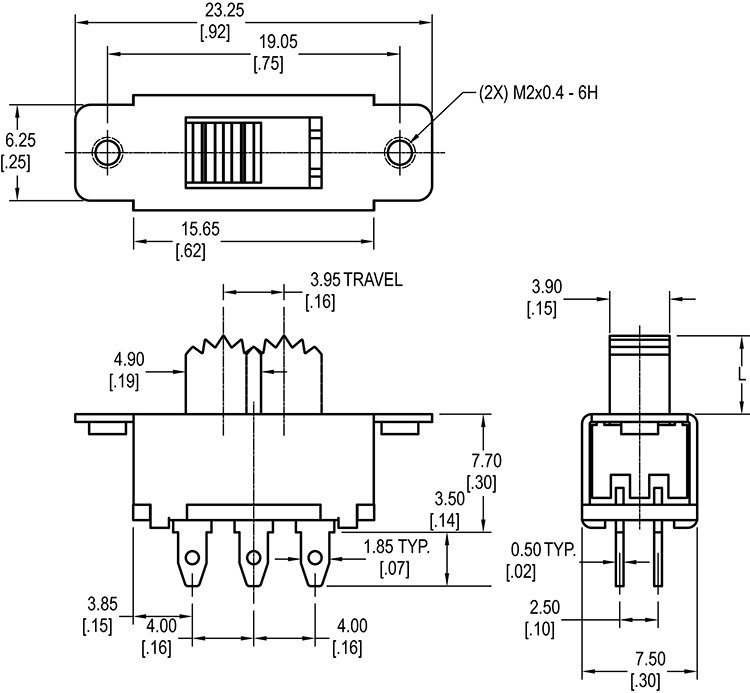 This unit features 3.0mm total actuation travel and actuator length options of 5.0mm, 7.5mm, or 9.0mm. 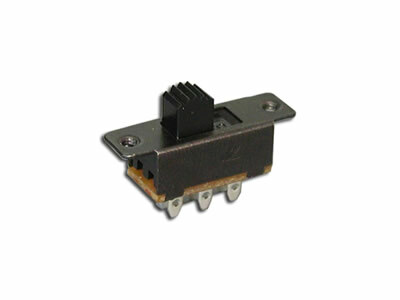 This DPDT slide switch features 10,000 electrical life cycles and threaded or non-threaded mounting options.